Shadow of the Tomb Raider has been unveiled to the world, giving us our first glimpse at what Lara’s next adventure brings in terms of new adventures, mechanics, and ideas. 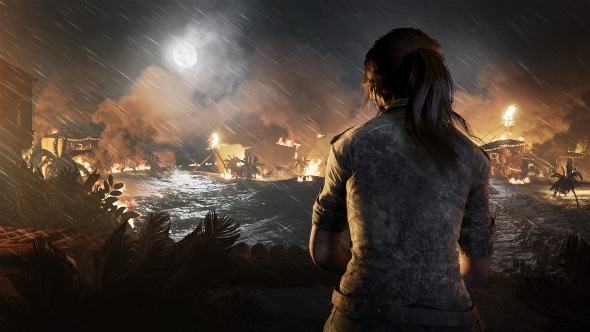 This new iteration of Crystal Dynamics’ set-piece formula doesn’t appear to reinvent the series in quite the same was as Rise of the Tomb Raider did with its hub world, but the new setting promises a collection of great enhancements that will bolster Lara’s darker, more predatory phase. Take a deeper look at Lara’s first steps into Central America with our Shadow of the Tomb Raider hands-on. 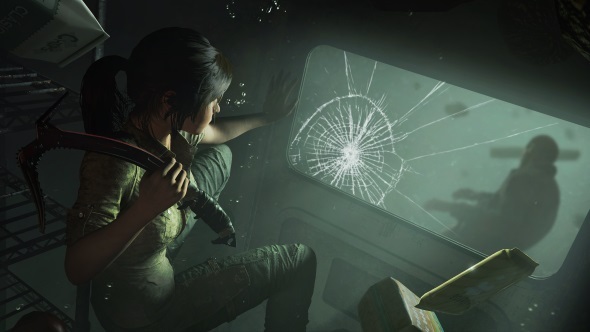 Lara has always had a supporting cast in the likes of Jonah and Sam, but Shadow of the Tomb Raider’s secondary character is, according to Eidos Montreal, the jungle. The Central American setting places Lara among dense, exotic fauna, and it looks like the game lets you make the most of it. The vines and undergrowth can be used to conceal Lara from sight. Lean against a surface and she’ll hide among the leaves, allowing for stealth takedowns that wouldn’t be out of place in Metal Gear Solid. Gameplay footage shown at the press reveal event also revealed that tree branches can be used to string up enemies with the grappling hook, suggesting that Lara is learning a few predatory lessons from the Batman Arkham games. The ancient Mayan civilisation used to use cenotes – a natural sinkhole filled with water – for sacrificial offerings. 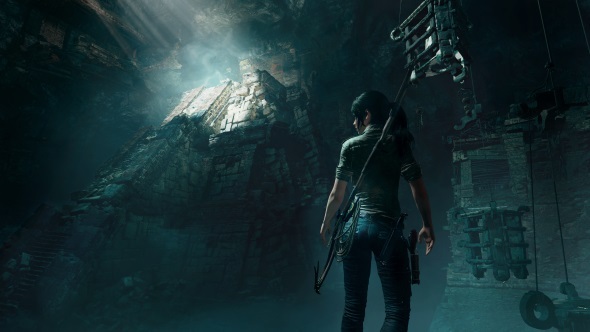 With Lara descending her way into a plethora of Mayan structures, there will be several occasions in which she’ll need to take a deep breath and explore the depths of these caves. 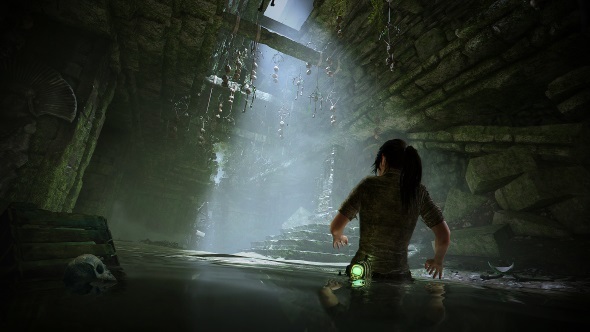 While Tomb Raider has forced Lara’s head underwater before, this is the first time that the new series has featured full underwater exploration. While not a fancy new addition to the genre, the threat of deep water adds a fresh level of danger. Finding pockets of air becomes a constant, panicked aim, and when surfacing the camera holds close on Lara’s face, emphasising the desperation of refilling her lungs. It adds texture to the set-pieces, and managing Lara’s ability to stay submerged will no doubt come into play during some tomb puzzles. After tackling Japanese and Byzantine evils, Lara is this time contending with the Mayans. Their chunky pyramids are among the most iconic relics in the world, and so it was only a matter of time until Lara arrived in the jungles of Central America to hunt them down. The introduction to Shadow of the Tomb Raider seems to suggest that the journey will revolve around Chac Chel, the Mayan goddess of destruction, and Ix Chel, the moon goddess. Together they form a pair, with the Mayan culture placing emphasis on duality. As such, objects that represent them shouldn’t be seperated. It would be a catastrophic idea, then, for Lara to take a Mayan dagger from its resting place in a tomb without checking for a second piece beforehand. Luckily for anyone hoping for an end-of-the-world plot, this is exactly what Lara does. With the apocalypse quite literally raining down, Lara will explore further Mayan ruins, temples, and tombs. Our hands-on only demonstrated a very small area that was almost entirely isolated, but the gameplay trailer offered glimpses at Mayan tribes and sacrifices. There was also a moment glimpsed of Lara dressed in Mayan clothing, running away as a wooden structure collapsed around her. Perhaps this time Lara will be able to disguise herself and blend in with enemies to aid with her new stealth approach? 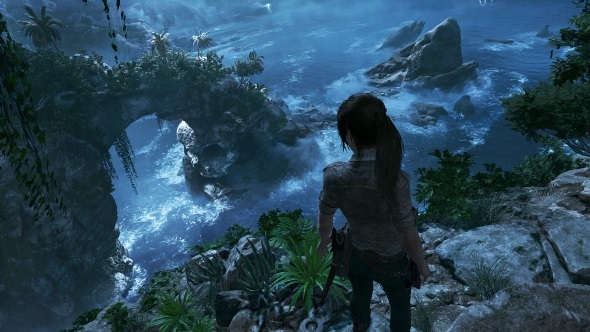 The world around Lara has certainly changed since her previous outing, with the jungle setting offering several new ways for her to climb, fight, and explore. But Lara herself has changed, too. From the opening moments of the hands-on demo, it’s obvious that she’s a very different person to who we left behind at the end of Rise of the Tomb Raider. This time she’s more ruthless, single-minded, and hell-bent on keeping two steps ahead of Trinity. But that mindset has its drawbacks. Sacrificing her steady head leads Lara down a dangerous path, and there are certain to be consequences to her recklessness. As such, Shadow of the Tomb Raider is sure to be a more complex, introspective look at themes of obsession, drive, and what it means to be a saviour. By holding Lara’s actions under a microscope and analysing their repercussions, we’re likely to see her realise the errors of her current heading, and find her way back to a more assured place. Only then can she become the Tomb Raider that this entire journey has been a journey towards.